Our product range includes a wide range of nmea expander channel, nmea expander, selector device and nmea to ethernet converter. 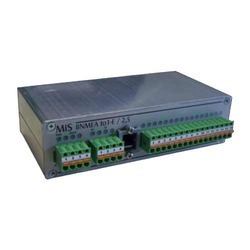 Our company is highly acclaimed in offering a wide range of 1NMEA To2_2 - NMEA Expander Channel. The 1NMEA to2_2 is designated for the distribution from one serial data source (NMEA) to max two receivers (RS 422 or NMEA). This function is twice available (2x (1 input + 2 outputs)). The two NMEA inputs of the module are separately scheduled with help of switch S1 and galvanic isolated from the power supply and the outputs. 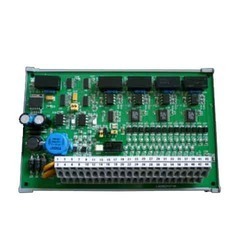 Our company is highly acclaimed in offering a wide range of NMEA Expander. The 2NMEA to12 is designated for the distribution from two serial data source (NMEA) to maximum 12 receivers (RS 422 or NMEA). 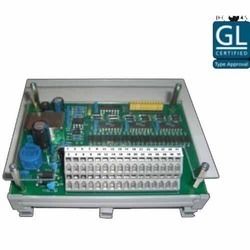 The two NMEA inputs of the module are separately assignable to the multiple outputs with help of jumpers and galvanic isolated from the power supply and the outputs. 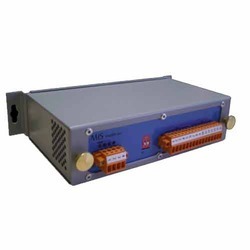 This NMEA to Ethernet Converter is used to collect 8 NMEA serial lines from different sources and convert them to one output per Ethernet TCP/IP or Ethernet UDP. Furthermore a additional RS422 NMEA output is available. All 8 NMEA inputs are galvanic isolated to each channel and to the output. In case of system failure alarm will be generated and can be send via RS422 or dry contact. A filter function can be activated. Looking for NMEA Devices ?